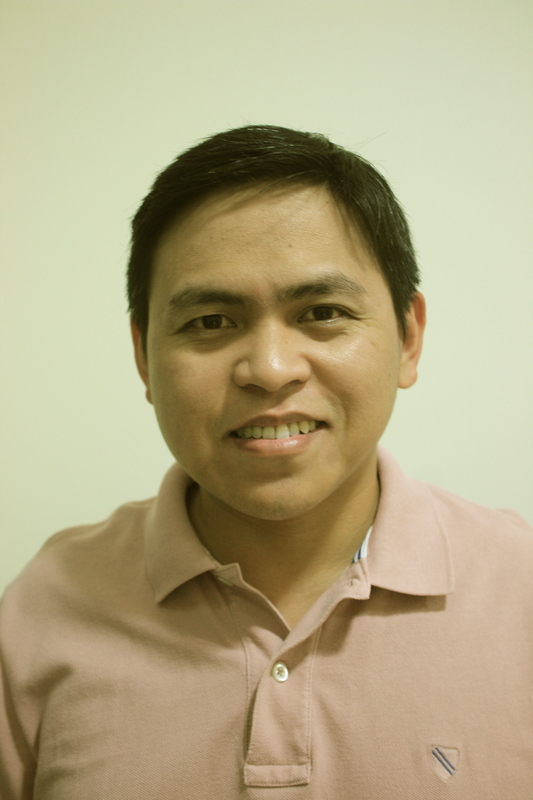 The Author : Jaivime Evaristo is pursuing Environmental Biology, with a focus in biogeochemistry, in the Master of Environmental Studies program at the University of Pennsylvania. He received a B.S. in Biology from the University of the Philippines, with a thesis on a preliminary study that would lead to the identification of potential alternative uses of an environmentally hazardous by-product in industrial food production. It is not uncommon for a narrative aimed at building an argument for water conservation to begin by stating that the planet’s freshwater resources comprise just a measly 2.5% of all the earth’s water; 97.5% being ocean or seawater. Hence, the need – in fact, even a moral responsibility – to conserve freshwater resources to meet not only the needs of some 7 billion people worldwide but also of future generations. The importance and urgency of water conservation could not be overstated. Even before we begin to consider some alternative and novel means of increasing potable water production, it is important to stress that conservation of existing freshwater resources can assuage the perils of a looming global water problem. For example, it may be surprising to many people to learn that “about 95% of the water entering our homes goes down the drain or that over a quarter of all the clean, drinkable water we use in our home is used to flush the toilets”. When we place these facts into perspective, there is no doubt that there is a lot we consumers can do to conserve water and help address the water problem. As with other major world issues – fossil and renewable energy resources, for example – that define some of today’s tectonic shifts in geopolitical makeup and economic balance, the water issue will just as likely be an indispensable component of world security and stability agenda. Already, in countries along the Jordan River basin like Israel, Syria, and of course Jordan, it is being argued that regional stability will likely be influenced more by future water resource issues than by centuries-old ideologies. The same is true for countries like Egypt and Sudan that have placed the rights issue to the River Nile as a matter of national security. Further east, parts of India and China are facing serious dangers as receding Himalayan glaciers pose threat of an impending water shortage for hundreds of millions of people. One might think that a global policy issue of this magnitude and importance would elicit a multi-faceted approach to close the gap. Unfortunately, policy makers and institutions engaged in water conservation efforts have, by and large, placed a skewed emphasis on and around the conservation of fundamentally limited freshwater resources only. So much so that public awareness to other alternatives like seawater desalination technologies is not only scanty but also, at times, prejudiced. According to the Ecological Management Foundation, a public benefit charity in the water sector, “the common view, still very much engrained in people’s minds, is that desalination is too expensive, too fossil energy intensive, technically complicated and environmentally unfriendly. In the NGO world it is regarded as a technical fix and hence inappropriate”. What is often missed out is the recognition of the huge technological improvements in desalination technology over the last few years; most if not all of which were due to the concerted efforts between technology providers and public sector stakeholders. Recent design improvements in seawater desalination have reduced the cost prices quite considerably such that they are now projected to cross the marginal cost prices of conventional water procurement and treatment, thereby, increasing the economic viability of desalination in the next few years. In an age where urbanization is expected to grow ever more rapidly in the next two decades, expanding to almost 5 billion by 2030; and the fact that many of the world’s largest cities are built along seacoasts, access to potable water for domestic and industrial use is a matter not only of urban living sustainability but also of medium-term security and stability. Any future gaps in water supply as a result of rapid population growth in urban coastal areas could be narrowed by a cost-competitive and sustainable utilization of innovative desalination technologies. One traditional drawback of seawater desalination is the huge energy requirement, which is being met mostly by fossil fuels (e.g. oil and natural gas). Desalination plants ran on hydrocarbon fuels continue to pose both cost and environmental concerns. While fuel cost might be less of a concern to oil-rich countries in the Arabian Gulf – which the USGS estimates to use about 70% of worldwide desalination capacity – than elsewhere in the world, the rising prices of crude oil meant that a portion of the potential revenues of these oil-exporting countries were being flushed out of the drain for use in seawater desalination rather than for sovereign wealth generation. There have been some recent improvements in this area, however. For example, in Algeria, GEbuilt what has become as Africa’s largest seawater desalination plant, which uses an advanced seawater reverse osmosis (SWRO) membrane process that requires less energy consumption compared to other alternatives like thermal desalination processes. Indeed, the intersection between addressing environmental issues and pursuing corporate shareholder interests does provide ample opportunities for technological innovation. On what might be considered as a groundbreaking development in 2010, both in technological and in emerging collaborative terms, IBM and the Saudi research group, King Abdulaziz City for Science and Technology (KACST), announced the opening of a solar-powered desalination plant with a capacity to produce about 30,000 cubic meters of potable water per day. The collaboration between IBM and the Saudi government resulted in two major technological breakthroughs: in addition to being powered by ultra-high concentrator photovoltaic (UHCPV) cells instead of fossil fuels, improvements in nanomembrane technology meant less electricity requirement than average high-pressure RO systems. Seawater desalination, just like any other industrial facility, carries with it some inherent environmental drawbacks. Concomitant to the use of fossil fuel as an energy source that drives desalination plants is the concern for greenhouse gas emissions. However, as exemplified by the IBM-Saudi partnership above, a change in energy source that powers tomorrow’s desalination plants could very well eliminate this environmental downside in the near future. Another environmental concern that comes with desalination technology is the high salt concentration of the brine discharge that is normally dumped back into the sea. Increased seawater salinity caused by brine discharge from desalination plants could not only pose threat to marine life and ecosystem balance but could also result in a positive feedback loop with respect to feedwater sustainability. That is, brine or concentrate discharge, which has higher salinity than the feedwater, increases the surrounding seawater salinity and therefore the subsequent feedwater intake; thereby, amplifying the increased seawater salinity issue caused by brine discharge disposal in a positively reinforcing manner. Moreover, it is important to stress that as feedwater salinity increases so does the energy requirement in desalinating seawater. The effects of increasing salinity caused by brine discharge from desalination plants, however, could vary greatly from one site to another. Physico-chemical and geomorphological factors should be considered in the assessment of its environmental impacts to marine ecosystems. For example, countries in the Arabian Gulf (Saudi Arabia, Qatar, Bahrain, United Arab Emirates, Kuwait) could be facing heightened environmental threats caused by brine discharge – due to presumably limited diffusion and mixing of seawater in the Gulf – than in other coastal areas where turbulence and ocean circulation patterns facilitate faster diffusion and mixing of the discharge back into the ocean. Routine and extensive water sampling as well as standard EPA dilution models for effluent discharge could help in narrowing any ecological management gap caused by brine discharge disposal. In a best-case scenario that future desalination plants are powered by renewable energy resources like solar or wind, still the threat of increased salinity as well as alkalinity to marine ecosystems are likely to persist. 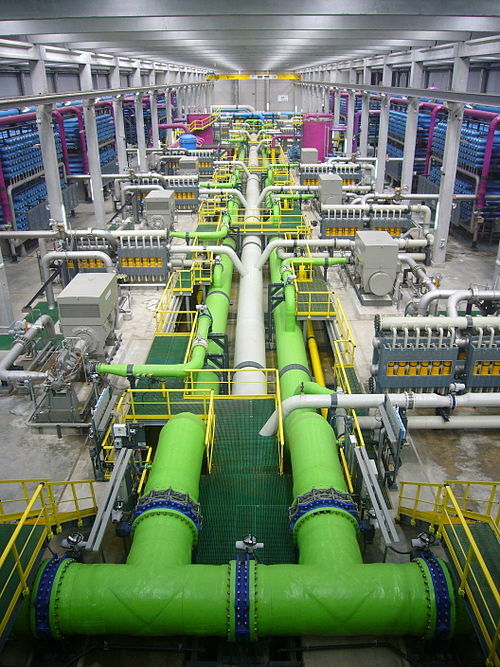 The cautious optimists, however, may argue that given the huge technological strides achieved in recent years in overcoming the traditional hurdles of desalination, it is just a matter of time before technology providers, public/private sector stakeholders, and the academia are able to close in on this gap. The case for desalinated water, as it turns out, is one that policy makers need to consider more seriously. That is not to say, however, that conservation efforts in freshwater resource management i.e. groundwater, lakes, rivers, streams, etc. have to take the back seat. Quite to the contrary, the same conservation and consumer education programs must continue and should be intensified even further as a matter of strategic effort priority. Nevertheless, given the global scale of climate change impacts, including changing rainfall patterns around which conventional water procurement and treatment through dams and reservoirs are largely anchored, it may prove pragmatically prudent to add a little bit more emphasis on seawater desalination in the entire water agenda. After all, with dismal prospects as big in magnitude as a global water crisis in the next few decades, the world needs all the help it can get from every resource and technology possible. The views of this article are those of the author and should not be taken as representative of the University of Pennsylvania, Wharton or the Initiative for Global Environmental Leadership.